The Public Bodies (Joint Working) (Scotland) Act 2014 provides the legislative framework for the integration of health and social care services in Scotland. It requires local authorities and health boards to integrate adult health and social care services – including some hospital services. It also provides the option locally to add-in children’s services, criminal justice and additional hospital based services. The legislation requires Health Boards and Local Authorities to establish formal partnership arrangements to oversee the integration of services. Like most partnership areas, this has been done in the Western Isles through the creation of an Integration Joint Board (IJB), which is a partnership body designed to take decisions about how to invest resources and deliver services. 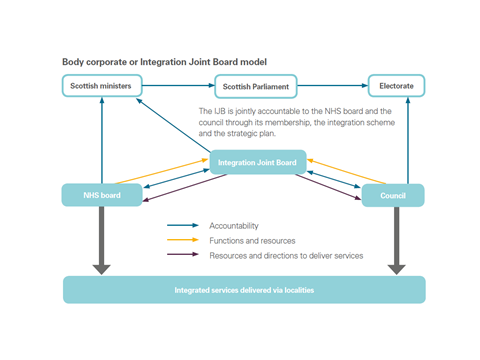 The IJB is not an organisation which employs members of staff but it does have the authority to direct the two parent bodies – the Health Board and Local Authority – about how it wants integrated services to be delivered. Each IJB will put in place a strategic plan for services and budgets under its control. The strategic plan will be widely consulted upon with non-statutory partners, patient and service-user representatives. We have until April 2016 to produce a strategicplan and it will cover a three year period. This document is the strategic plan for the Western Isles Health and Social Care Partnership. The legislation also requires a Chief Officer to be appointed by the IJB to provide a single point of management for the integrated budget and integrated service delivery. The Chief Officer has a direct line of accountability to the Chief Executives of the Health Board and the Local Authority for the operational delivery of integrated services. The Scottish Government has produced a range of guidance notes to support the implementation of the Act.